"Training globally certified programmers in Myanmar!" Japanese Style Education In Myanmar! 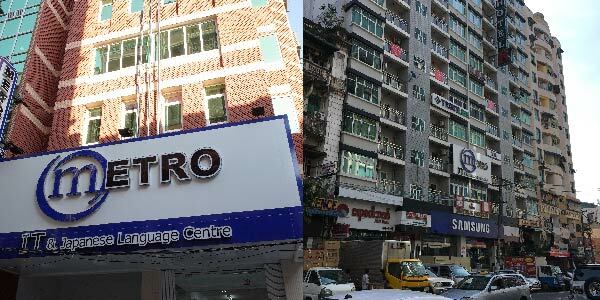 Metro IT and Japanese Language Centre was established by "Metro Group". 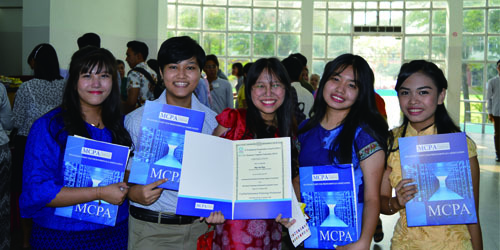 Our goal is to train myanmar youths into "highly certified" global IT experts. We provide the same cirruculum used in our "Japanese branch" for myanmar students. Only the "latest tech" and learning materials are used! Metro IT and Japanese Language Centre consists of "System creator", "PC Design Creator", "Business IT engineer" and the "Japanese" Departments. Providing insider knowledge, tactics and strategy plus japanese language lessons for myanmar youths! Learn Japanese at a "steady and systemetic" pace together with our highly experienced Japanese lecturers! Master pass "intermedate" until "advanced" levels. Metro provides lectures depending on each and every student's needs to reflect and improve our curriculum to "maximum effect." Our IT School Seminar and briefing session are a great opportunity for "High school graduates", "College students" and "University graduates" to learn IT skills from Japan. Students who participated in our IT school seminar meetings can join our simulated trial lessons! So join us and get a taste of Metro's IT education style for Free! 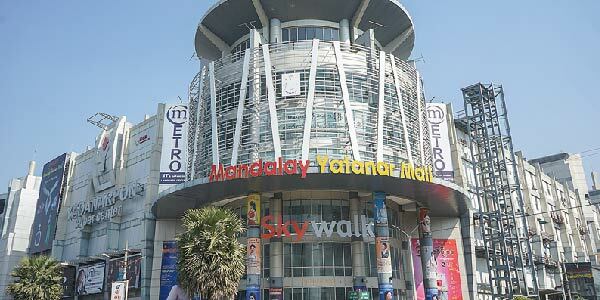 Metro Water Festival will be held on the 12 of April. Education Fair will be held in Tamadaw Hall Yangon on 28, 29 and 30 of June. Fresher Welcome Ceremony of the System Creator course 8 th batch　will take place on July 18. Graduation Ceremony of the System Creator course 4 th batch will be held on July 20. Japan Expo taunggyi will be held on 16, 17, 18 and 19 of March. Education Fair will be held on 25 and 26 of June. Graduation Ceremony of the System Creator course 2th batch will be held on July 21. Fresher Welcome Ceremony of the System Creator course 4th batch　will take place in MICT Park MDL on July 22. Metro IT & Japanese Language Centre! Metro's mission is to train "IT Engineers" who will play an important role in society. As such this course is aimed towards passing the "ITPEC exams" . Join us to become awesome "Web developers" by learning with our Web Engineer department at Metro! Aim to become "Business IT Engineers" to bridge the gaps between Myanmar and Japanese business relations! Boost your creativity and artistic skills and fully express yourself in our design course! Aim to work in creative and exciting jobs! Learn "N5 qualification" required to study abroad in Japan! While also learning about Japanese culture and business etiquette! The reason for studying Japanese might be different for each person but studying Japanese with friends is always more fun! Pansodan Street ( Middle Block ), Kyauktada Township, Yangon. Room No (7), Mandalay ICT Park, 3rd Floor, Yadanarbon Super Center, Corner of 34 x 78 Street, Mandalay. ©2018 Metro IT & Japanese Language Centre All Rights Reserved.